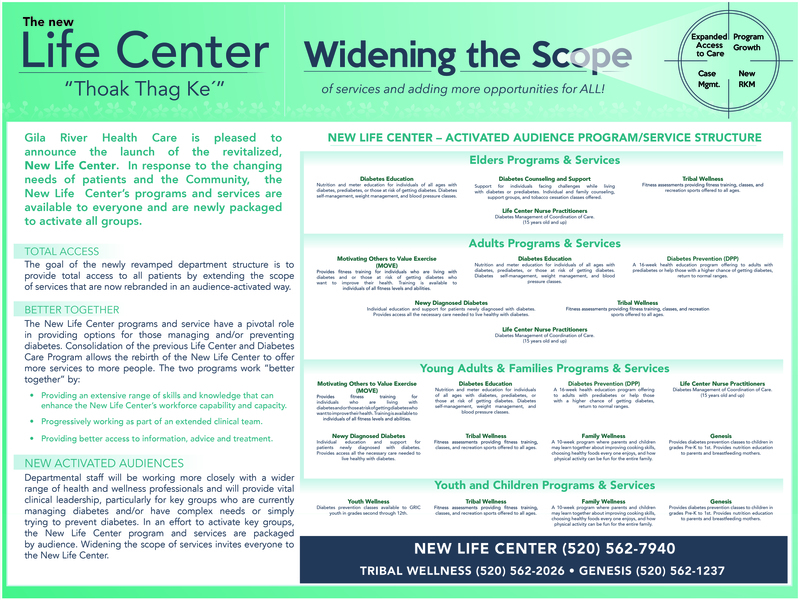 Gila River Health Care is pleased to announce that the Life Center and the Diabetes Care Program have now merged into one program. 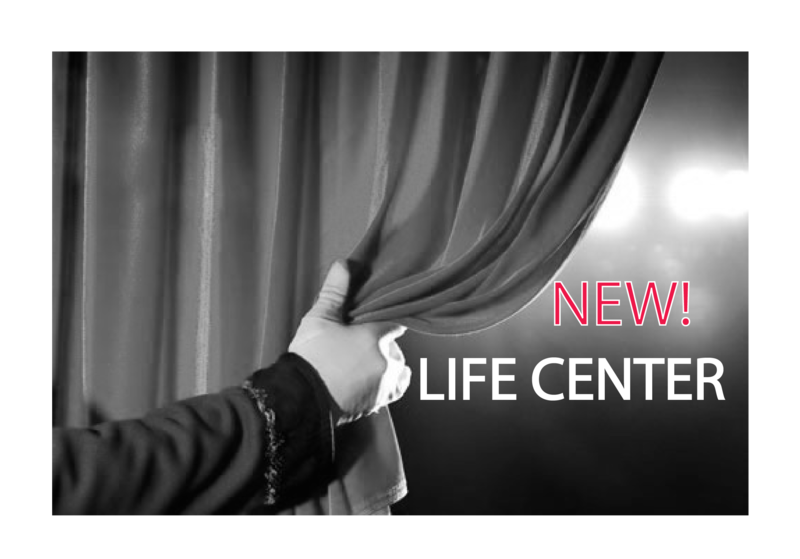 The new name of this program is the Life Center! 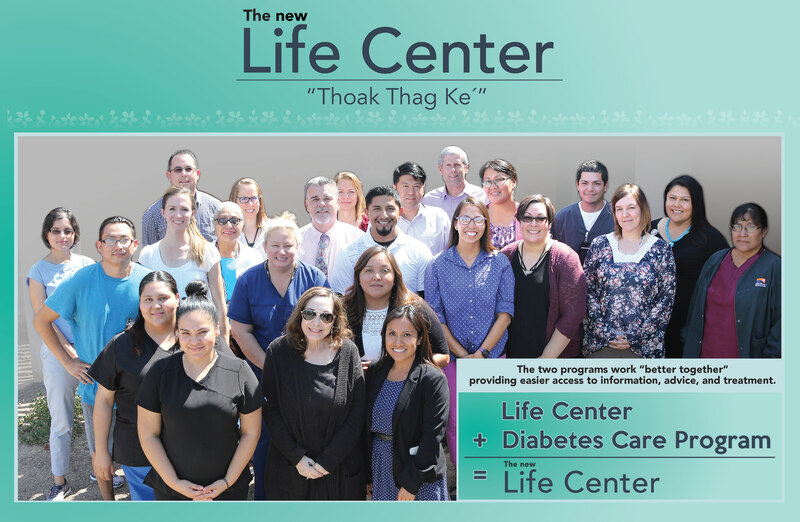 The mission of the Life Center is to provide effective, culturally sensitive services to all Community Members and GRHC patients with diabetes and those who assist in their care. This support includes education and resources to successfully manage their diabetes, prevent complications, and to live well. The Life Center services specifically focus on diabetes education, diabetes prevention, youth education, fitness assessment, exercise instruction, emotional support and case management, parent education, and dietary instruction. Visit our information page for Community members to see what Life Center activities are taking place!